Fantastic Beasts: The Crimes of Grindelwald discussion has been about everything and everyone besides who is clearly the most important character: Bunty. In Fantastic Beasts and the Crimes of Grindelwald, a whole lot of things happened. Many, many characters weaved in and out of many, many plots, and everyone at Hypable has residual whiplash trying to cover all the great and not so great things that happened in this movie. Which is probably why nobody cares about, or possibly even remembers, the woman who only appeared briefly in an extended CGI-heavy sequence: Bunty. So who is Bunty? Here is the sum total of everything we know about her: she takes care of Newt Scamander’s dangerous magical beasts, and she clearly has a crush on him. That’s it. We’ve never seen or heard about her before this movie, and we might never see or hear about her again. Played by Call the Midwife actress Victoria Yeates, Bunty is the epitome of the frumpy simpering assistant archetype, the one who only narrowly avoided being a harmful stereotype in Wonder Woman and who didn’t quite manage to avoid the same fate in Crimes of Grindelwald (a movie which, to be clear, has more significant issues with its female characters). Bunty is everything you expect a character like Bunty to be — or would have expected her to be in a detective movie from the 1980s: shy, introverted, conservatively dressed, helplessly in love with the oblivious main character, seemingly incompetent at her job and therefore in need of said main character to rescue her. 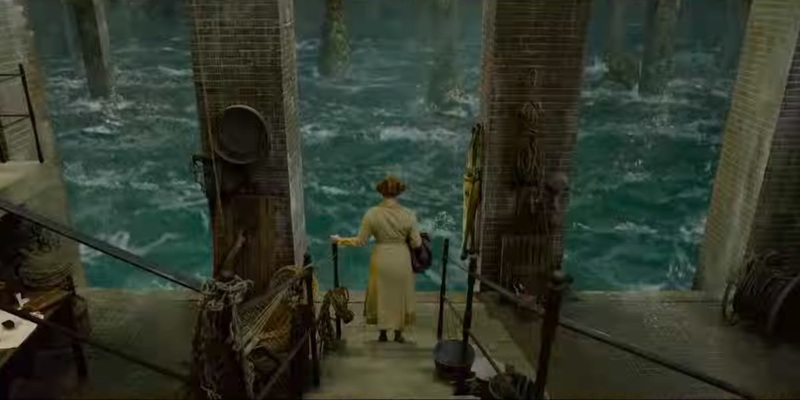 In Crimes of Grindelwald, Bunty is most memorable because of the scene in which she appears: arguably the most magical part of the film, we get a taste of Newt’s impressive interior design skills (does anyone wish they’d do Wizarding World: House Hunters?) as he wrangles a kelpie in a gorgeous underwater made-for-the-theme-park sequence. In Fantastic Beasts and the Crimes of of Grindelwald, the special connection to the beasts, along with the sense of wonder and adventure of dealing with them, is solely reserved for the male lead. Bunty might be assistant carer of magical creatures, yet she appears to have no strong desire to be around the beasts at all, save for the approximation it gives her to Newt. 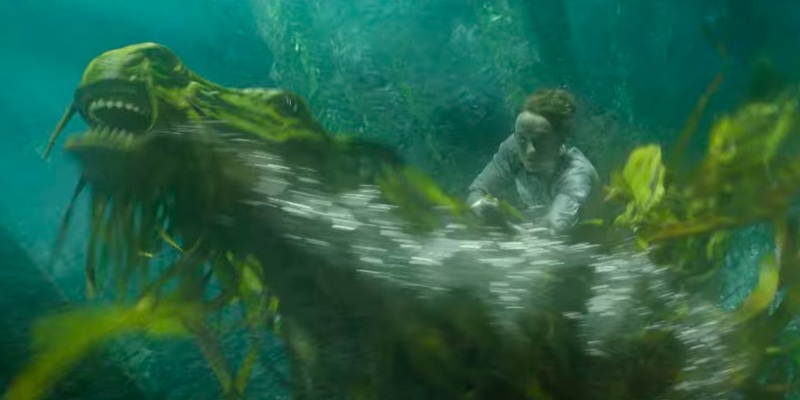 Even more puzzling, she appears unequipped to actually handle the beasts, seeing that she is nursing a nasty kelpie bite when we meet her, and needs Newt to come fix what she can’t. And yet, despite her seeming ineptitude and/or indifference to the animals in Crimes of Grindelwald, we are led to understand that it was probably Bunty who took care of Newt’s house and creatures, by herself, while he was in New York — somehow managing to keep her life and limbs perfectly intact in his absence. Bunty’s first name (or pet name, heh) is literally derivative of animal behavior — ‘bunting,’ as in when an animal butts or rubs their head against things they like, as in literally what she’s doing to Newt by watching his beasts — and also refers to a type of bird, suggesting that she does in fact have some connection of her own to the animals. If Yeates hadn’t told the Daily Mail that Bunty went to Hogwarts, I would have speculated she might actually have been a beast herself (a skittish rabbit, perhaps) accidentally transfigured into a human. But if that’s not the case, could she have some other significance? Considering that the movie series is headlined ‘Fantastic Beasts,’ and Bunty is the only character aside from Newt whose literal job is fantastic beasts, might we not assume she is set to play a bigger role? Just because she isn’t going to be Newt’s romantic interest doesn’t mean she has to be devoid of value in the story, right? As previously mentioned, we know absolutely nothing about this woman outside of her job — we don’t even know her last name. Since J.K. Rowling appears to be unable to resist a David Springer-style family shocker, it seems reasonable to assume that Bunty might turn out to have an important connection to a wizarding family we know. Her red hair obviously suggests Weasley, but then again, there are several redheads in this film and none of them are named as such; clearly, red hair + hand-me-down robe = Weasley isn’t a foolproof formula. Really, she could be anyone. Right now, what is intriguing about Bunty is that nothing whatsoever is intriguing about her. She really does seem to exist for the sole purpose of informing the viewer that Newt’s beasts are being cared for even when he is off on secret missions for Dumbledore, and she herself is a flat caricature, named in the spirit of beasts, no noteworthy existence outside of the service she provides. But let’s put a pin in Bunty for now, and hope she does have value as a character in her own right, as more than a tool to prop up the male lead’s abilities and/or be someone’s love interest. 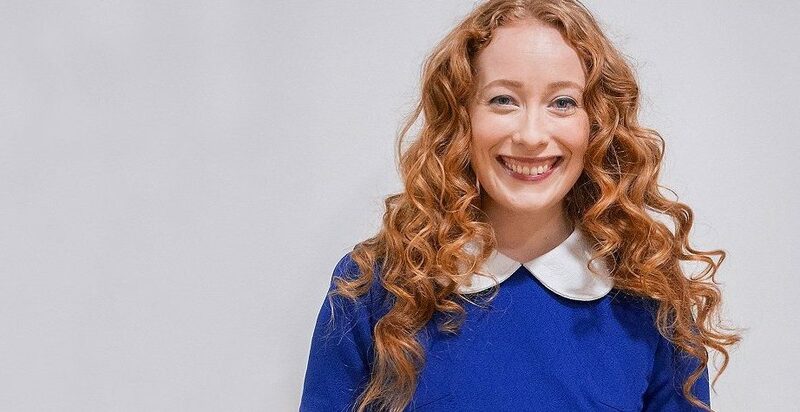 Perhaps her red hair and shabby clothes is a clue that she’s somewhere on the Weasley family tree — someone’s gotta be, anyway, might as well be her — or perhaps she’ll turn out to be a force in the resistance against Grindelwald. What do you think? Will Bunty have a bigger role, or any role, to play in future Fantastic Beasts films?